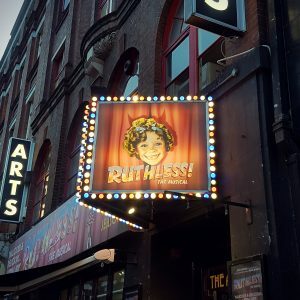 I recently got to see Ruthless! The Musical at the Arts Theatre. 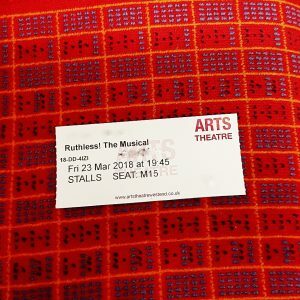 Ruthless is a fun, little musical about ambition and scruples. The story of a young performer who is willing to go the extra mile to be the star of the stage, this musical is packed full of humour and silliness. The production is very well dressed with a really well done, charming set, simple but gorgeous costumes, and just the right amount of props, all heavily influenced by the style of the 50s. While it is obviously a small scale production, it is so well done and beautiful! 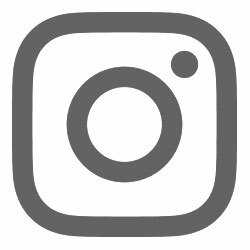 The story comes with some obvious tropes of the bratty child and ambitious stage parent, manipulative agents and carefree grandparents, but all of the tropes are presented with enough twists and pep that it doesn’t seem boring or too predictable. Some of the plot is quite obvious from the start, but there are small surprises along the way! Satirising the stage mum and ambitious junior performer tropes as well as musicals in general, the humour really works, if you’re not looking for something too deep and sophisticated. The humour is very obvious and mocking. There is even a seemingly never-ending song about how musical songs are seemingly never-ending. I really enjoyed the overdrawn characters and very simple humour in this production of Ruthless. I’m rating it five out of six rainbow sloths.